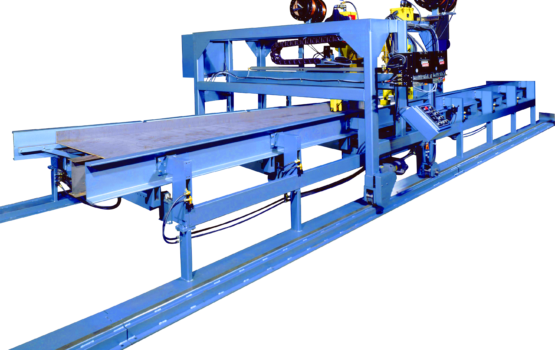 PHI’s Structural Beam Welding Line is designed to manufacture custom steel beams such as those used in pre-engineered steel buildings, bridges, shipyards, and trailers. By manufacturing custom beams, straight or tapered, and with web and flange dimensions not available in standard beams purchased from a steel mill, a building manufacturer can achieve significant savings in steel costs as compared to using conventional I beams purchased from a steel mill. 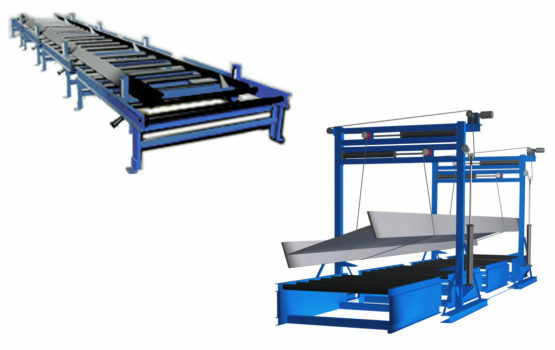 The main characteristic of PHI’s Structural Beam Fabrication System is its ability to produce beams continuously, beam after beam, with minimum down time for changing welding parameters or beam sizes. 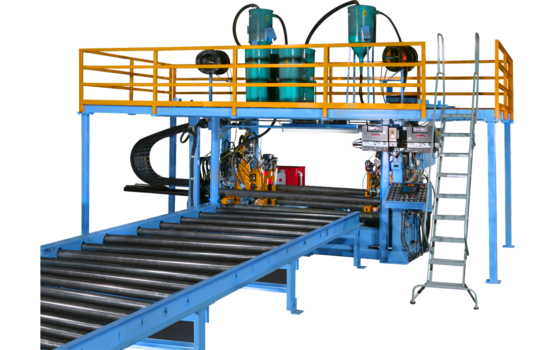 While actual production capacity will depend on the size and type of beams to be fabricated, typical output is 2,000 tons of steel per month in one eight-hour shift employing only three operators.